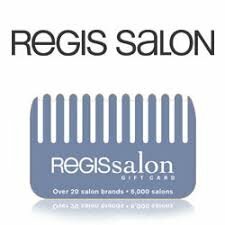 Grand Prize is a $100.00 Regis Salon Gift Card. Submit your entry today to qualify for the win. Win 1 of 4 prizes of concert tickets for a year awarded as a $3,000.00 Live Nation gift card. Enter up to five times! Win a $100 gift card. The grand prize winner will win an RV. Contest consists of three rounds with one finalist each. One grand prize winner will be drawn from the three finalists. Each finalist will win a $100.00 gift card.